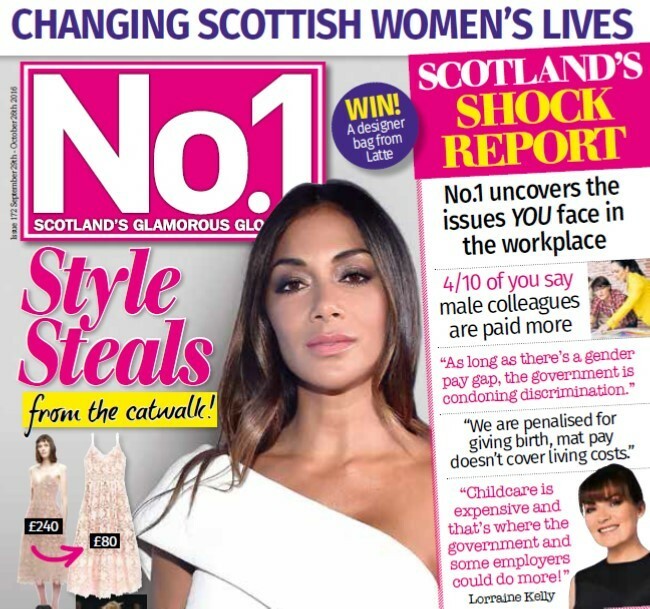 No.1 Magazine Reveals Shocking Results of Scotland-wide Survey - D.C. Thomson & Co. Ltd.
No.1 Magazine has surveyed over 1000 women in Scotland to find out how they feel they are treated in the workplace. The survey polled opinion of treatment of new mums, comments on appearance, and the women vs. men pay gap. The survey responses suggest that despite women’s rights campaigns and equal pay legislation – women still feel discriminated against in Scotland. In issue 172 of No.1 they have highlighted ‘Scotland’s Trailblazers’ and have exclusive interviews with Lieutenant Colonel Gill Wilkinson, The world’s first female Master Blender, Rachel Barrie, Television Superstar, Lorraine Kelly and First Minister, Nicola Sturgeon. Political pioneer, Nicola Sturgeon, talks through her experience of women in the workplace, and says, “Gender equality is one of the greatest economic opportunities of this century. No.1 Magazine is on sale Thursday 29th September, priced £1.75.